TDS ZAMPRA spol. s r.o. - About company Zampra, s.r.o. TDS Zampra spol. s.r.o. 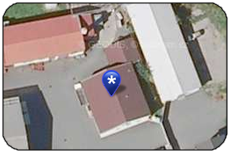 was established and listed in the business register as a legal entity on the July 14th 1992.
reconstructed according to the demands of the machine production. Following the growing cooperation with Ostravsko-Karvinské mines, its focus changed to deep mining equipment production. abbreviated "ZD24". It became the dominant part of the production program of the company. The company is owned by two partners and employs 35 permanent employees. 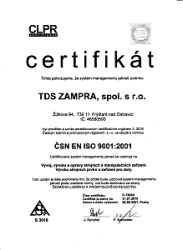 We are holders of ČSN EN ISO 9001 certificate.